Tickets: $45 each person (includes tour and bus transportation to and from hotel). Chicago's First Lady Cruises is the official cruise line with the Chicago Architecture Foundation and is proud to present the official Chicago Architecture Foundation River Cruise. 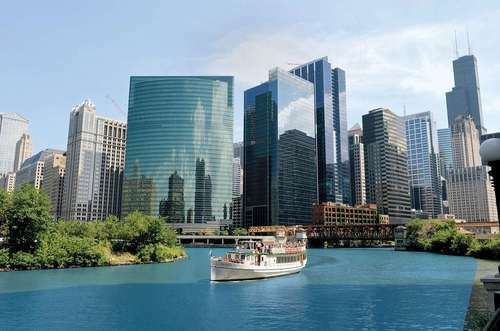 Named Chicago's #1 Architecture Tour, the river cruise highlights more than 50 architecturally significant buildings and is led by passionate volunteer docents (guides) from the Chicago Architecture Foundation. Departing from The Magnificent Mile on the beautiful Chicago Riverwalk. Cruise travels all three branches of the Chicago River. The most beautiful and luxurious vessels in Chicago. Open air front row seating and air conditioned salons. Our docks are conveniently located along Chicago’s Riverwalk at the southeast corner of the Michigan Avenue Bridge at Wacker Drive – look for our blue awning! Directions from the Marriott Magnificent Mile Downtown Hotel. Discounted parking is located across the street at 111 E. Wacker Drive. For Limited Mobility Access: Access the Riverwalk via the ramp at State Street and Wacker Drive. Meet at 1:00 pm and enjoy a private tour of the Art Institute of Chicago with Joyce Robinson (wife of NATS president, Norman Spivey), curator at the Palmer Museum of Art at Penn State. The tour will focus on highlights from the modern French and American collection. The visit may include a stop at the museum's Caffe Moderno for a light snack and a beverage and the Museum Shop (both at individual expense). Transportation: You are on your own for transportation and must meet at 1:00 pm at the Art Institute of Chicago, 111 S. Michigan Avenue, inside lobby near Museum Shop. Directions from Marriott Magnificent Mile Downtown Hotel to the Art Institute of Chicago. 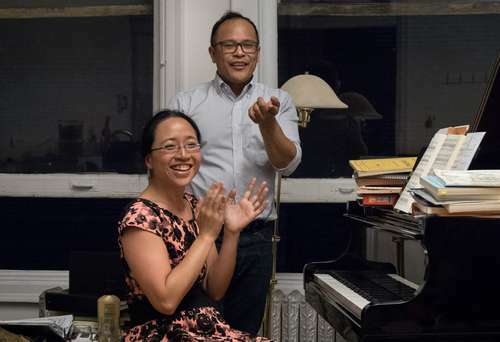 The Liederstube was founded by Eugenia Cheng in 2013 as an intimate oasis for art song. Liderstube holds Lieder jamming sessions twice a month in the Fine Arts Building in Chicago, and more recently in London and NYC. We are delighted to host one at the NATS conference. Bring your favorite Lieder or art songs to sing with Eugenia Cheng at the piano, or just come and have a drink and enjoy classical music in an intimate, informal environment. This event is an opportunity for all those who have participated in past Intern Program events to gather together and catch up with one another. All past interns and master teachers are encouraged to attend. Everyone is encouraged to bring a lunch to the meeting; NATS will provide a drink and dessert. Sponsored by Hal Leonard Corporation. Henry Pleas will lead us on a journey in which the black vocal music traditions are revealed and contextualized. This journey is set in "camp meeting" style and begins with music that Africans brought with them to foreign American shores. It continues into the important development of black hymns, spirituals and gospel and isn't over until we've looked at secular traditions emergent up to the turn of the century; that is the year 2000. Joined by pianist Charles Hayes and other instrumentalists and guests, this evening session will be fun, participatory and entertaining. But like any good NATS session, all who attend will walk away knowing a little more: Particularly, about the context for many black music forms, their relationship to one another and an appreciation for how this music can (should) be effectively rendered with healthy singing principles. The Camp Meeting is an apt metaphor for what we'll be doing in this Late Night NATS session. The Black American spiritual "Walk together chillun" speaks to "a great camp meeting in the promised land," but Eileen Southern in her important treatise, The Music of Black Americans: A History points out that: "The camp meeting was primarily an interracial institution; indeed sometimes there were more black worshippers present than white. Foreign . . . visitors filled their diaries and travel journals with detailed descriptions of the people attending these meetings, of the sermons, of the procedures and above all, of the singing — especially the songs of black folk." This will be an opportunity for all SNATS members and their advisers to get together to network, ask questions and talk about future plans for their chapters. Attendees will need to bring a lunch, and NATS will provide a drink and dessert. Presided by Mitra Sadeghpour, Vice President for Outreach. Come join us for our Gala Celebration Banquet featuring a Cabaret Performance, the presentation of the NATS Lifetime Achievement Award, a dinner buffet and dancing! Presiding: Norman Spivey, NATS President. Praised by The New York Times for her "stylish singing" and by The Boulder Daily Camera as "simply incredible ... the highlight of the entire evening," Melissa Wimbish is consistently recognized for her artistry, technical prowess and captivating stage presence. Recently appearing as Barbarina in Le nozze di Figaro with Lyric Opera Baltimore, the young soprano did not go unnoticed with Opera News noting her "promising soprano" while The Baltimore Sun praised her "bright voice" and "knack for animating phrases." She was the 2014 NATS Artist Awards Winner. Introduced by: Carole Blankenship. 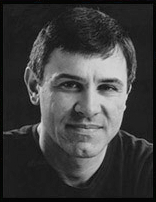 A professional actor-singer based in New York, Michael Maliakel is a versatile actor-singer comfortable performing in genres ranging from traditional/legit musical theatre to contemporary pop to opera. Maliakel won a top prize in the 2015 Lotte Lenya Competition, and was the 2014 National Music Theatre Competition Winner. 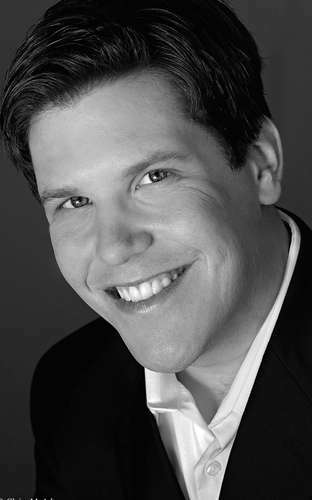 Time: 3:30 p.m. - 4:00 p.m.
American Death Ballads, David Conte's winning composition from the 2016 Art Song Composition Competition will be performed for Conference attendees. Performed by: Brian Thorsett, tenor, and Warren Jones, piano. One of the most beloved and celebrated musicians and personalities of our time, world-renowned soprano and musical ambassador Renée Fleming captivates audiences with her sumptous voice, consummate artistry and compelling stage presence. At a White House ceremony in 2013, the President awarded her the National Medal of Arts, America's highest honor for an individual artist. Known as "the people's diva" and winner of the 2013 Grammy for Best Classical Vocal Solo, she continues to grace the world's greatest opera stages and concert halls, now extending her reach to include other musical forms and media. The NATS Artist Awards Competition is open only to NATS members and students of NATS members. Preliminary competitions are held at the district and then regional levels, with one winner emerging from each of the 14 NATS regions, in addition to an at-large entrant. The 15 semifinalists will gather in Chicago for the semifinal and final rounds of the competition. The National Music Theater Competition seeks to find the best emerging music theater soloists, those who just need that one break to move their careers forward. Approximately 24 singers advance to the semifinal and final rounds in Chicago. Our inaugural NATS College Showcase & Expo will feature dozens of schools showcasing their undergraduate and graduate programs. There’s no better time for students – as well as parents and teachers – to learn more about what these colleges and universities have to offer. Plus: Join us for a drawing for prizes at 5:30 p.m.!